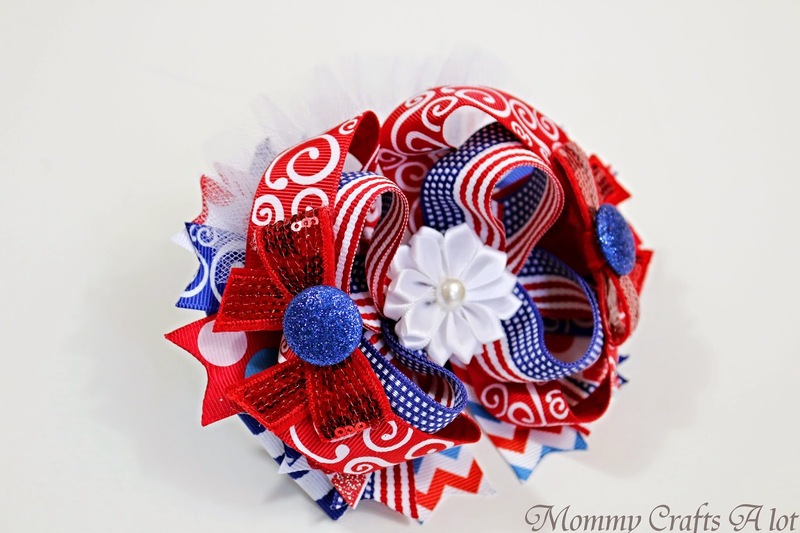 This bow was originally made for 4th of July festivities but I figure you can wear a flag just about any day of the week, don't you agree? 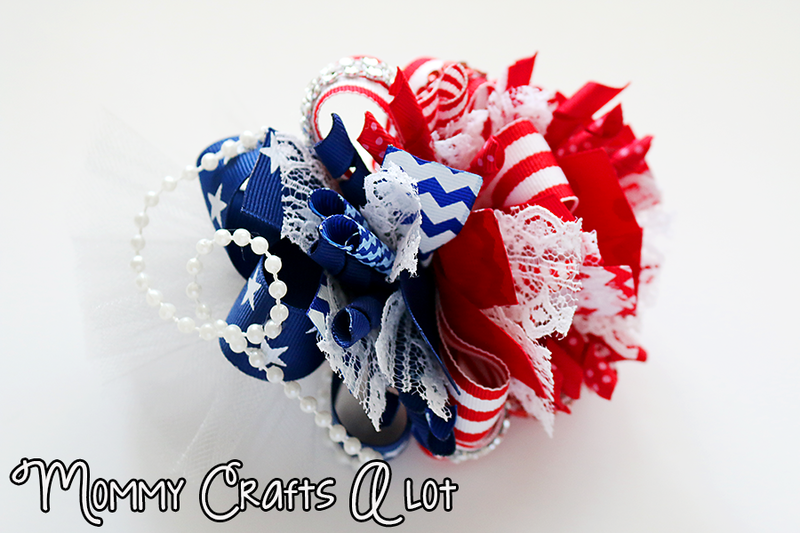 Also used: mini satin flower for the center and 2 red sequin bows on the sides (With blue glittery buttons). Be sure to subscribe to my youtube channel for more bow tutorials, MommyCraftsAlot.